When people think of cities known for their trains, places such as Boston and New York come to mind. Los Angeles, however, does have one of the most famous train systems in the world. Union Station is the main railway in the City of Angels. From this hub, one can catch a train that travels to many key locations both in and outside of the city. Roughly 60,000 people travel on the train each day. They connect with Amtrak Trans taking them throughout California or onto long distance travel outside of the state. Local services such as the MetroLink can be connected here as well. Los Angeles is a city known for driving and not public or rail transportation though. The figure of 60,000 riders pales in comparison the numbers of commuters who would be found at a rail station at an East Coast city. That said, there have been naysayers who believed the current commuting success the rail station delivers would have been impossible not that long ago. As with many other legendary rail systems, Los Angeles Union Station does have a unique and interesting history that is worth examining. The railway first opened in 1939 under the original name of the Los Angeles Union Passenger Terminal. There had been two other terminals that serviced the Los Angeles area and this newer, more modern terminal was intended to replace it. 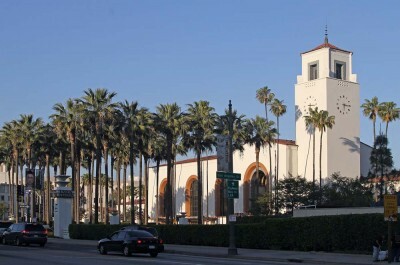 Many of the legendary railway lines of the day ran through Los Angeles Union Station. During the era before commercial airlines became more accessible and affordable, long distance rail lines were more common. Union Station was, of course, the main hub to travel to on the furthest reaches of the west coast. Union Station is not exactly located in a neighborhood that is hard to miss. The station is in Downtown Los Angeles and not very far from Hollywood. Chinatown is very close to it and tourists wishing to visit this legendary section of the city will find its close proximity to the train station another plus. Buses do travel to this area and cars can reach it easily via the Hollywood Expressway and Cesar Chavez Ave. There will be more people visiting the station during rush hour. For those who do not have to travel during rush hour times, going to the station later or earlier would be advised. 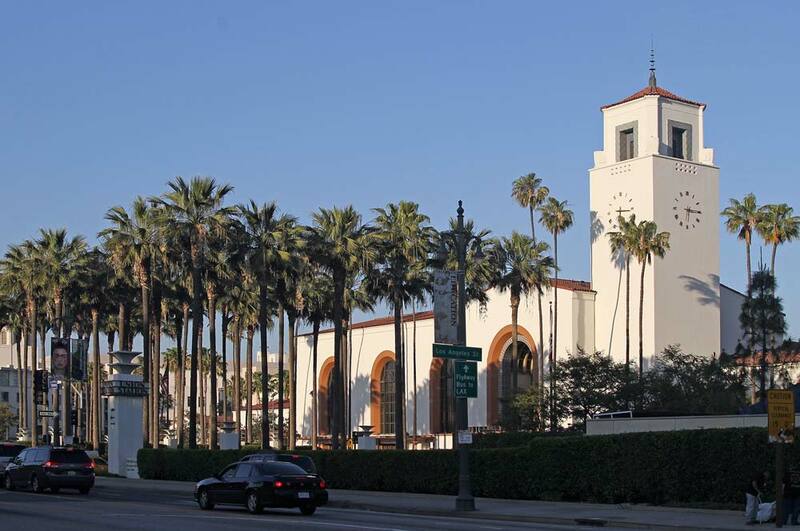 In 1980, Los Angeles Union Station joined the National Register of Historic Places in honor of its legendary status.